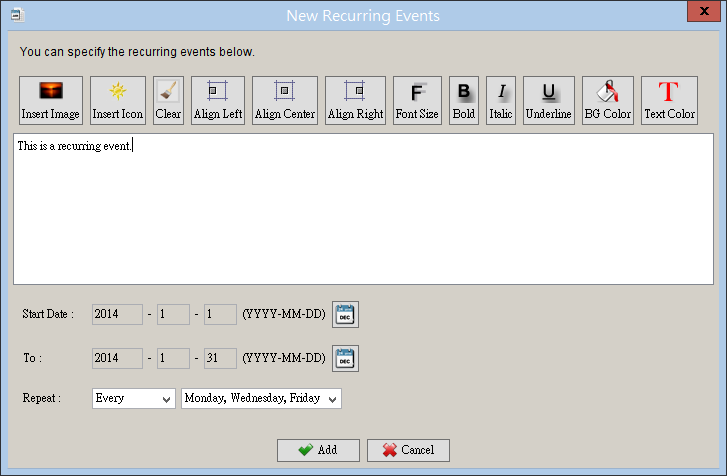 You can type your events into calendar quickly and easily. 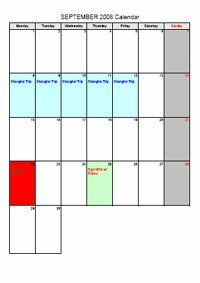 It works like a traditional calendar. 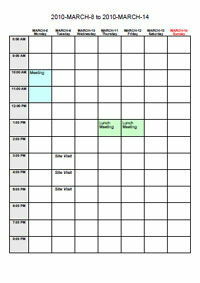 You choose the time range for the calendar, and you will be provided with different day boxes to fill your events. You can adjust the font style, alignment, background color, and text colorfor the boxes. You can use different colors to highlight your special events. 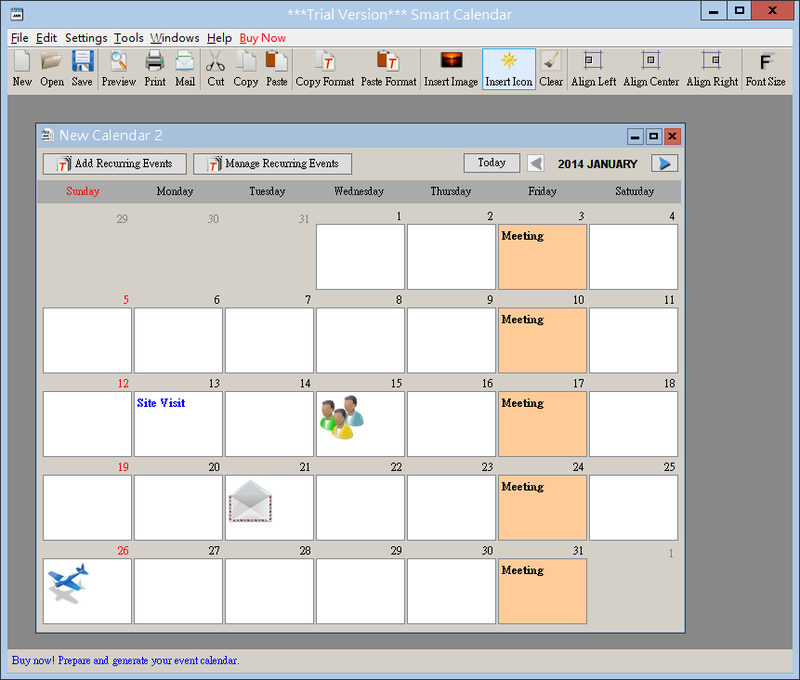 Smart Calendar Software provides three types of calendar: Monthly, Weekly and Daily. 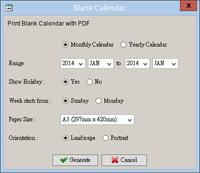 You can export the calendar into PDF or HTML format for sharing with your colleagues. 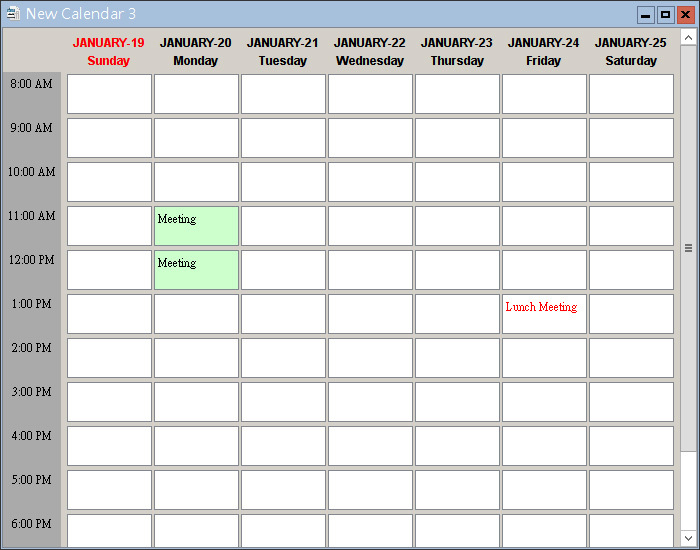 The calendar can also be exported into Excel format for further process. 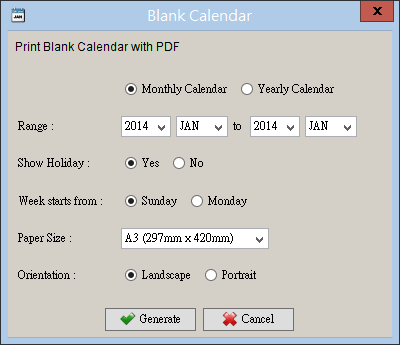 Just one click, the calendar can be exported as PDF attachment in email. 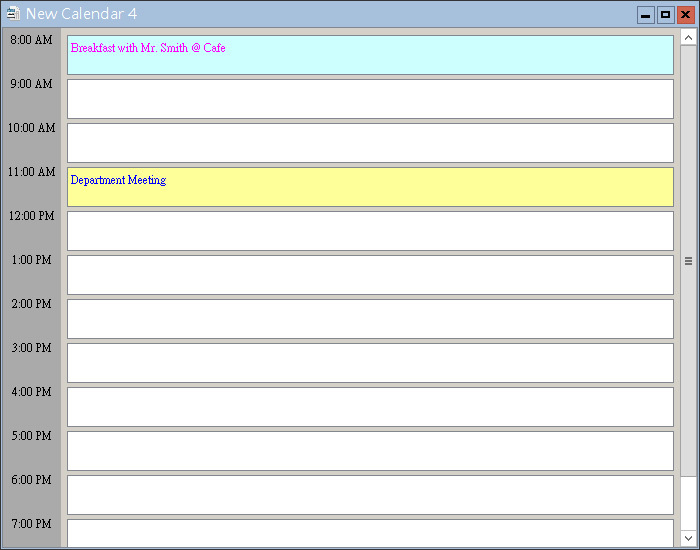 The downloaded file is named smartcalendar-setup.exe (42.7MB). 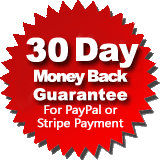 Once download is complete, double click setup.exe to install. Pay attention to the folder where your browser saves setup.exe file. 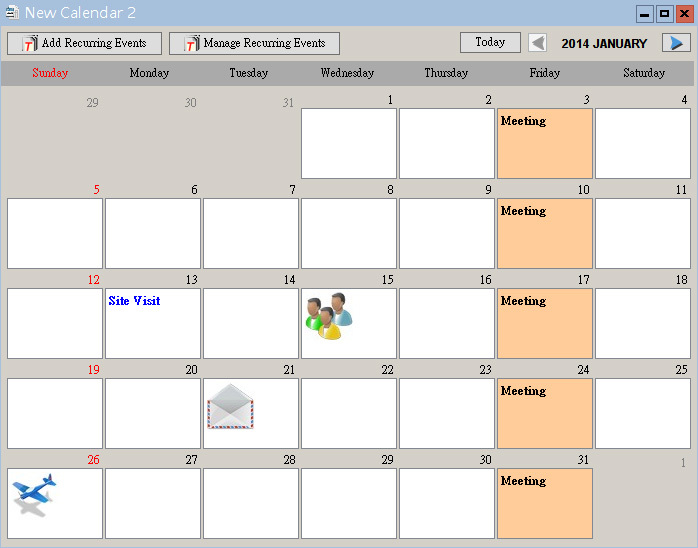 The downloaded file is named smartcalendar-installer.pkg (60.6MB). Once download is complete, double click on smartcalendar-installer.pkg to install. After installation, the software can be found in Launchpad.